2014 is ultimately the year of the food craze. Every month, more restaurants are popping out, adding to the growing list of concepts and trends that we never thought would reach our modest shores. Food halls, third-wave coffee, craft beer shops—now it’s as if you can find anything you can think of with a click of the search button. Indeed, Manila is steadily becoming a major food hub in Asia, a melting pot of cultures and tastes—like Singapore and Hong Kong. But while this growth helps sustain F&B in the Philippines, it can be quite overwhelming to us customers and foodies. Which places do we go to first? Which ones are worth trying? Which are worthy of repeated visits, of patronage? Which are a waste of space and which should close down—right now (#harsh)? Aesthetics and taste are not enough for restaurants to survive, but luckily for us, every once in a while, one of them rises out from nowhere with a concept so unique and personal, there’s no other way to go but to try it and see it for ourselves. 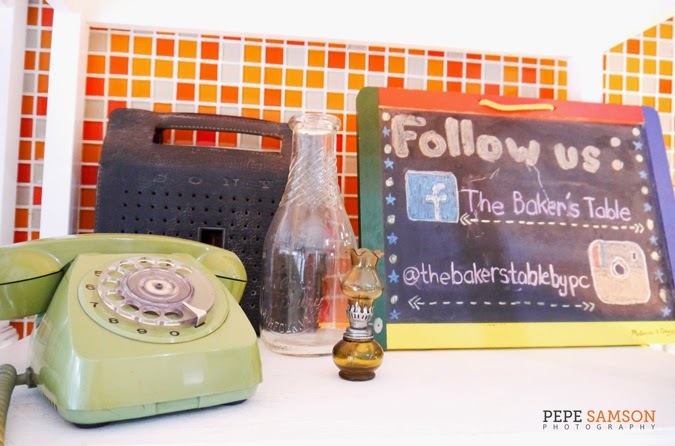 I’m talking about The Baker’s Table in Maginhawa Street. 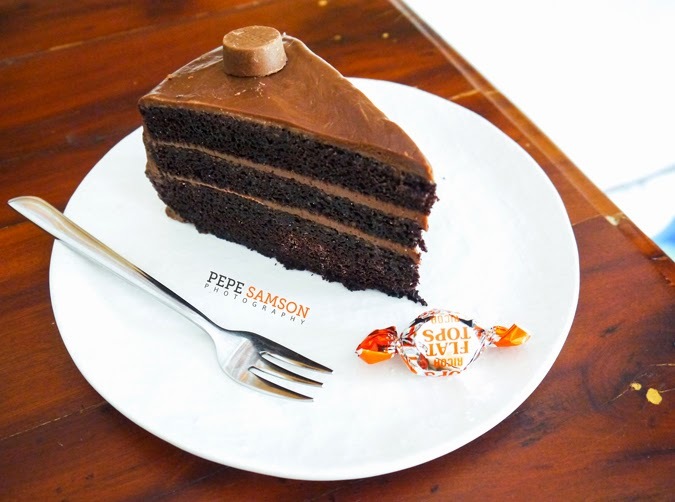 Established early this year, this bakeshop and café has been catching the attention of the populace. If it sounds familiar to you, perhaps it’s because you also saw it getting featured in KMJS a month ago, during the QC Food Fest. Yes, this is the bakeshop that sells the now-famous Haw-Haw Cake. A single mention of Haw-Haw elicits ecstasy from me. It was one of my favorite candies! I grew up munching on them, along with Flat Tops (and Curly Tops), Orange Swits, Choco Crunchies, and Mallows—local sweets that I preferred over Butterfinger and Snickers when I was a child. I could finish an entire box of each, and refused to share! So when I learned that some genius had finally thought of transforming the humble candies into cakes—I knew I had to check it out. 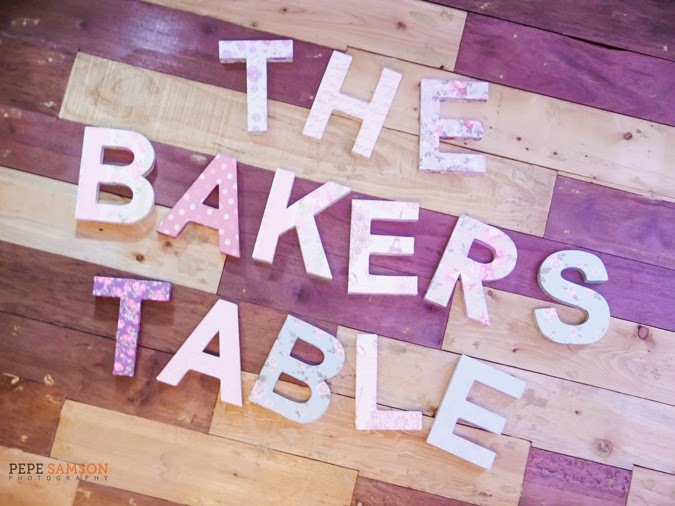 In fact, the concept of The Baker’s Table was kind of accidental. Chef Jonnathan’s wife Monika saw some of the local candies from a store and requested him to whip up some cakes out of them. The results were so good, that they decided to sell them in their bakery. 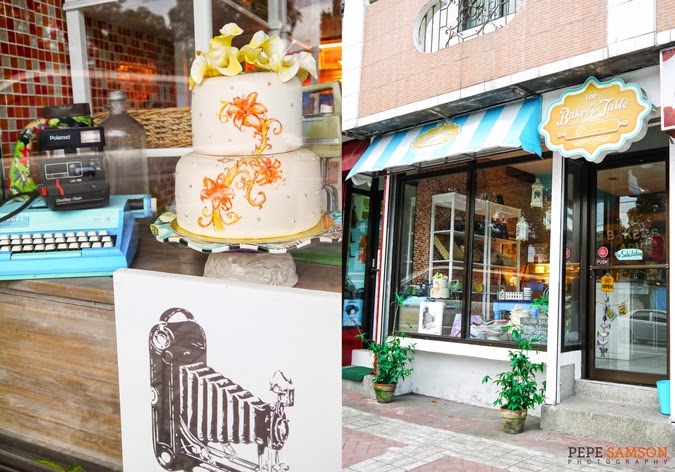 From the outside, The Baker’s Table looks like a typical café—girly script, pastels, a canopy—but what greets you inside is something beyond the usual sweets house. Old records, vintage phones and typewriters festoon the walls and shelves. 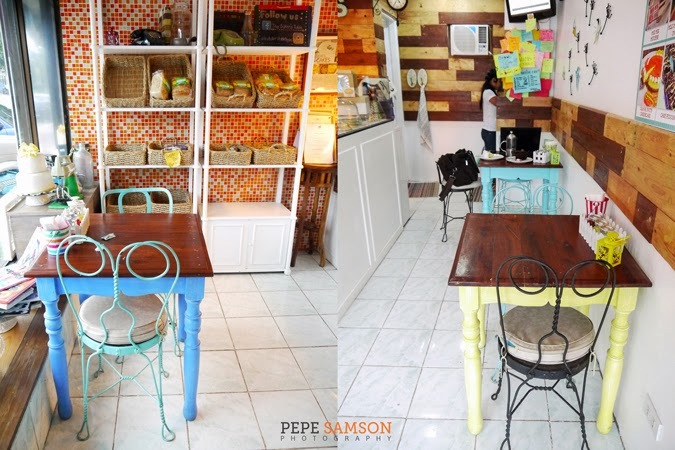 Tables are custom-made, the designs uniform but the colors different; even the chairs have mismatched hues. There’s a checkered wall, and a wooden panel which holds the café’s name, in letterings that look like something out of a scrapbook. It felt like a brighter, less woody, and more casual Café Mary Grace. I wasted no time and asked for a Haw-Haw Cake (PhP110/slice). 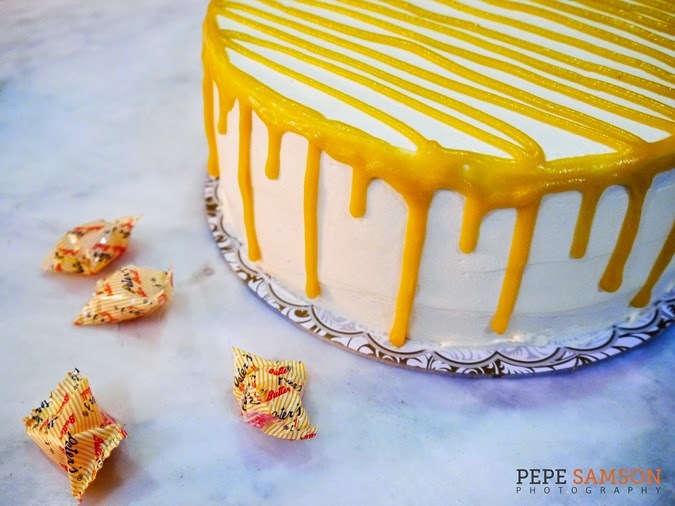 What was placed in front of me was a towering cake with layers of tres leches and vanilla, cream cheese frosting, custard, and melted Haw-Haw. 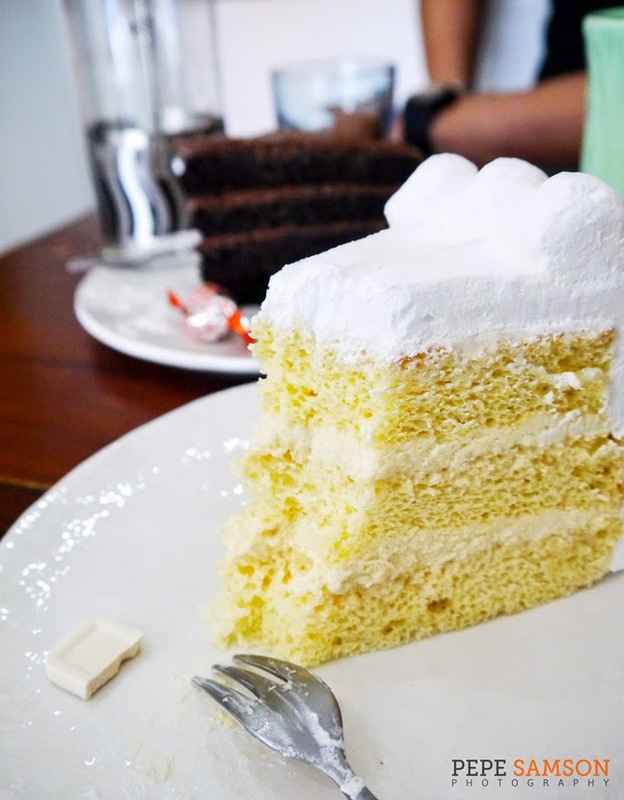 The cake, which looked too saccharine, was surprisingly not—it was light and exquisite. It was the ideal dessert—not too heavy as to make you feel as if you ate a steak, and not too sweet as to make you stop eating halfway through. Needless to say, I licked my plate clean—this was an instant favorite. And yes, I tasted the candy just to compare—the cake tasted exactly just like how I remembered the candy. 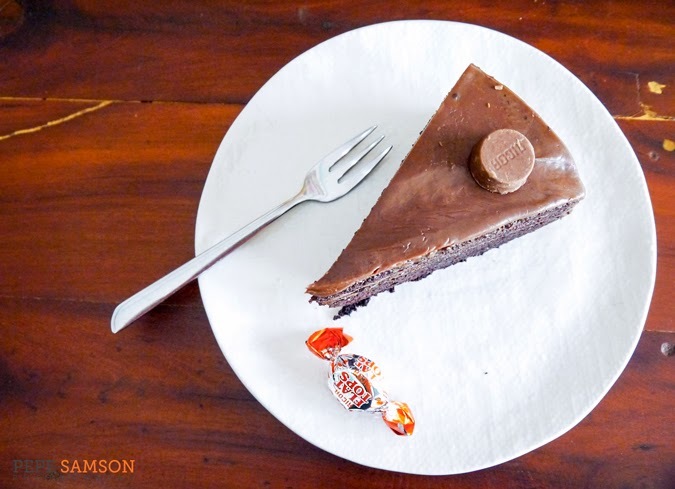 I also tried the Flat Tops Cake (PhP110/slice). The cake was moist, the frosting rich, and tasted like Flat Tops; how could it not, when 70 pieces of the candy are used to make each whole cake? 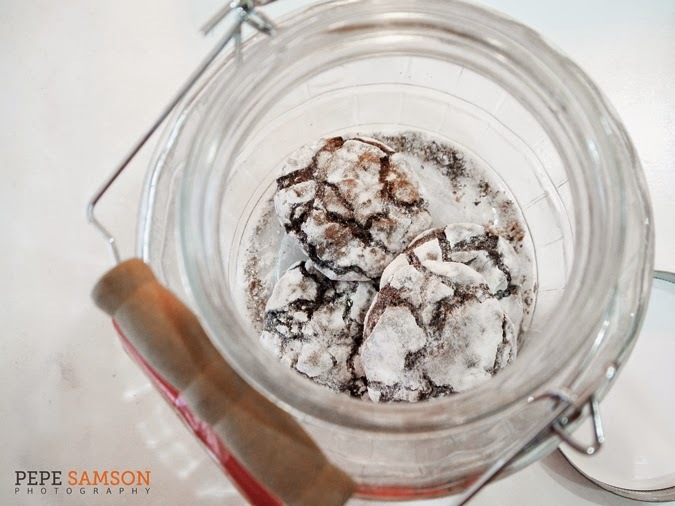 I’ve always said that the best chocolate cakes are the simplest ones—this was one of them. After trying two cakes (who eats two slices all by himself?!) I had to get some coffee. The Baker’s Table has Arabica and Barako coffee—I opted for the latter. Interestingly, they do not serve it in cups but in a French press, so two people can share, or so that caffeine junkies like me could enjoy multiple refills. 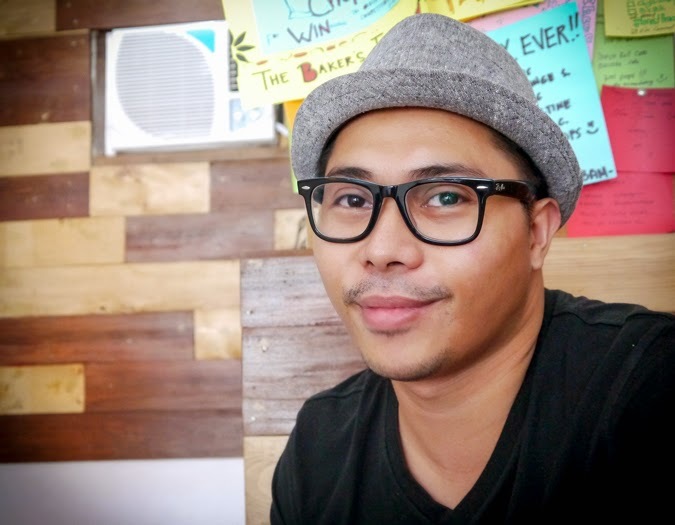 Being a natural when it comes to the kitchen, Chef Jonnathan knew there were more local candies he could experiment with. 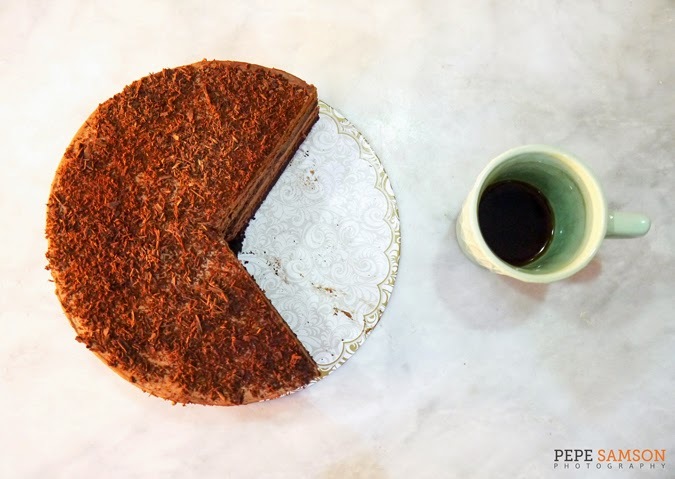 The Butterball Cake (PhP110/slice) uses Peter’s Butterball—ground and melted into a caramel frosting, which finds its way in between layers of chiffon. 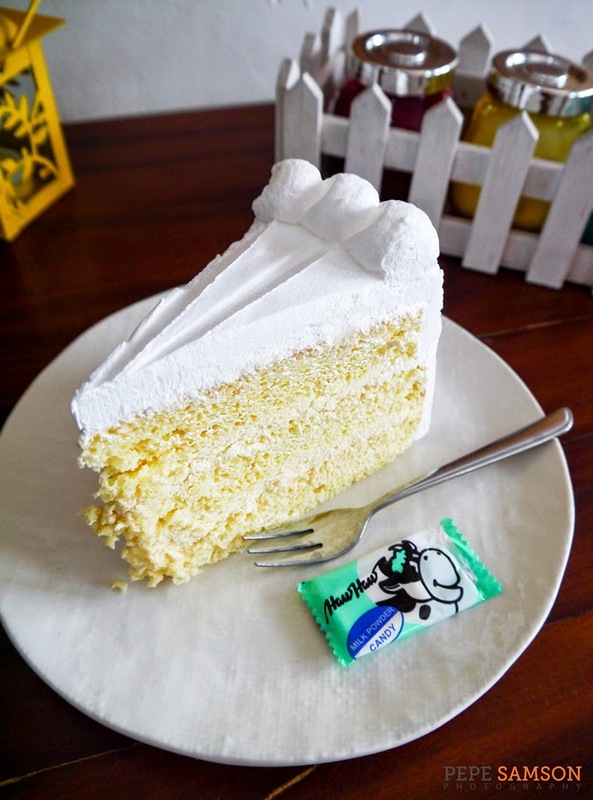 If you prefer something really sweet, this is the cake for you. 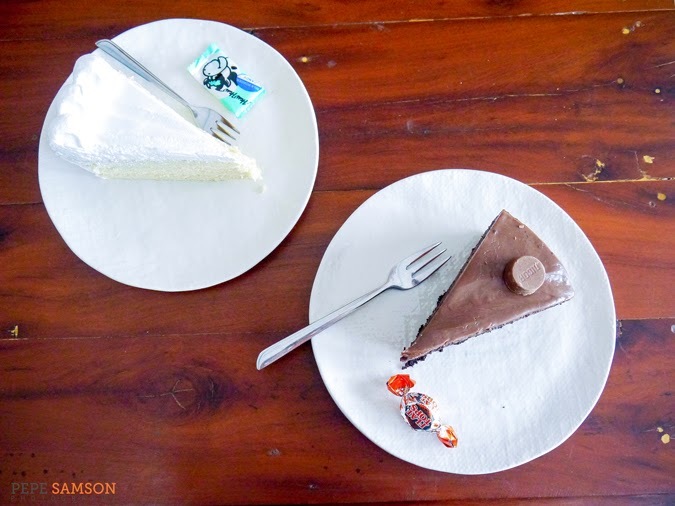 The Baker’s Table also sells a Hany Cake and a Milo Mousse (both PhP110/slice)—both of which I didn’t try as I was nearing my dessert threshold. 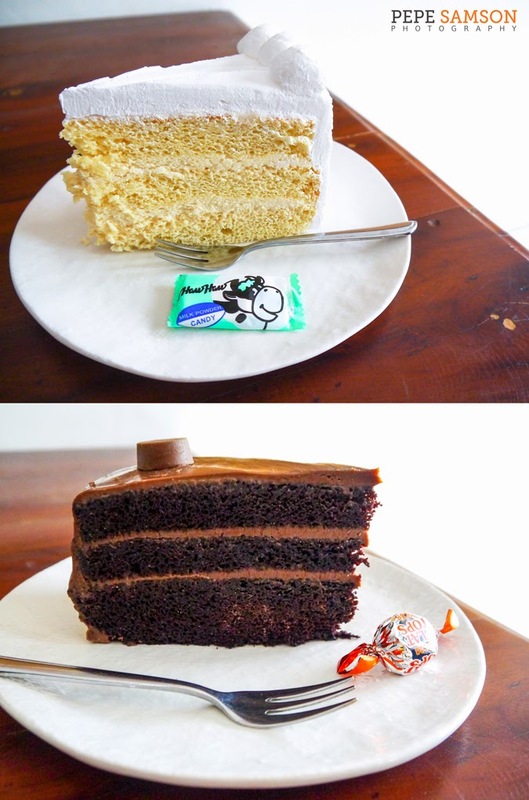 Both look promising, especially the Hany Cake which utilizes the candy’s crumbs along with peanut butter and cream cheese frosting. I also spotted some crinkles made of Lala chocolate—damn! 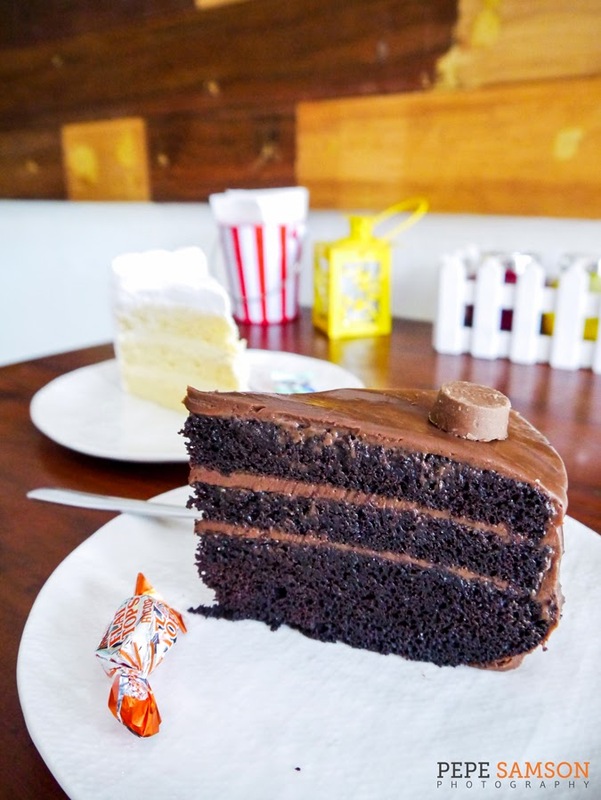 Visit the store on a Monday and you will find a gigantic Mallows cake. On Cheesecake Tuesdays, the café offers their Orange Swits cheesecake. 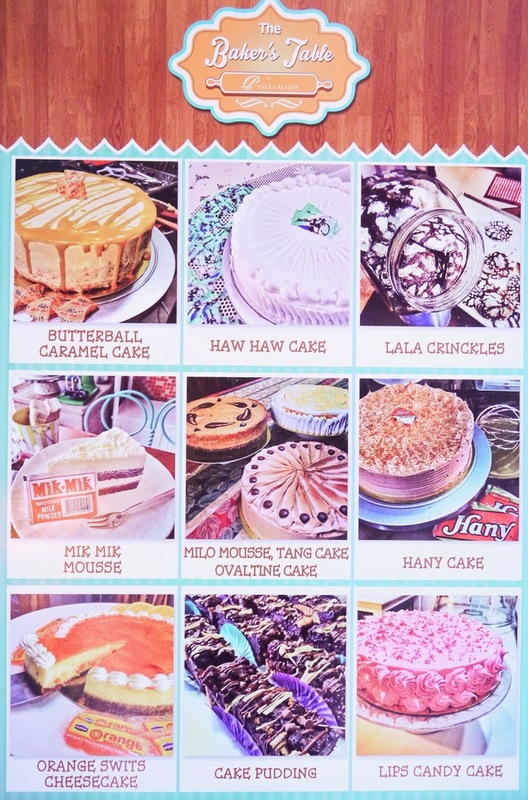 The Baker's Table also sells cakes made of Lipps candy, Mik-Mik powder, Ovaltine, and Tang orange juice. 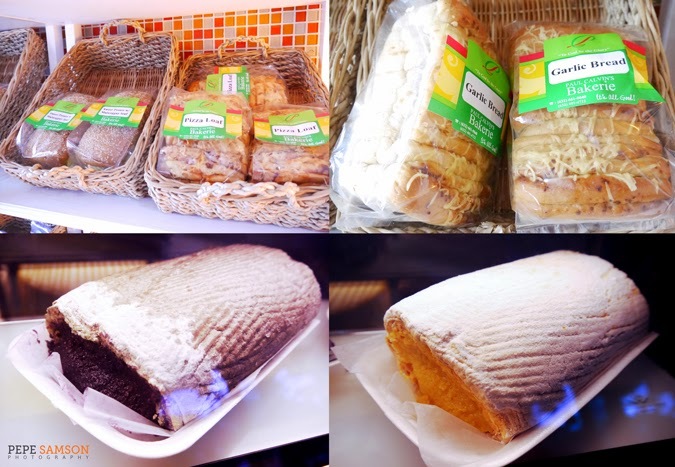 Chef Jonnathan’s products from his other business, Paul Calvin’s Bakery, are also being sold in the café—which, unlike the sinful cakes, lean more towards the healthy stuff. 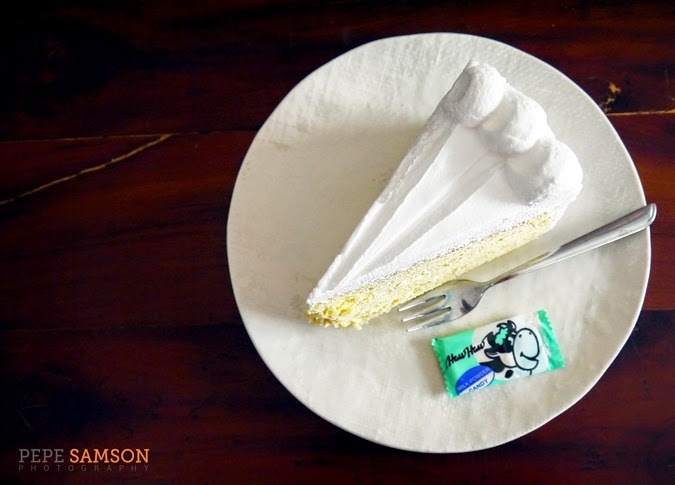 The chef innovates the brazo de Mercedes by using ube and squash. Loaves are made of malunggay, sweet potato, and ampalaya. I loved the Sweet Potato and Malunggay Loaf (PhP100), which was sweetish and could be eaten by itself, no need for spreads! 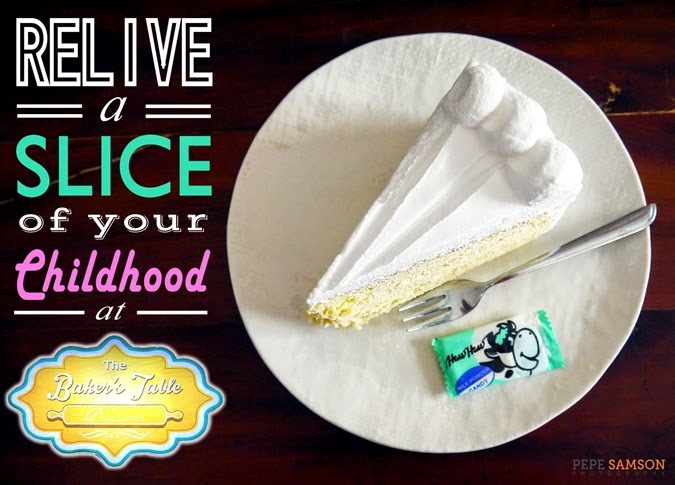 It’s amazing how something as simple as a cake can trigger wonderful memories from the past—in my case, my childhood. These were the candies I grew up loving—now, there are cakes I can slice into whenever I want to rewind a few years back. Nowadays it can be hard to find these candies in groceries—good thing The Baker’s Table is here to find them for us, and deliver them in a new, inventive form. 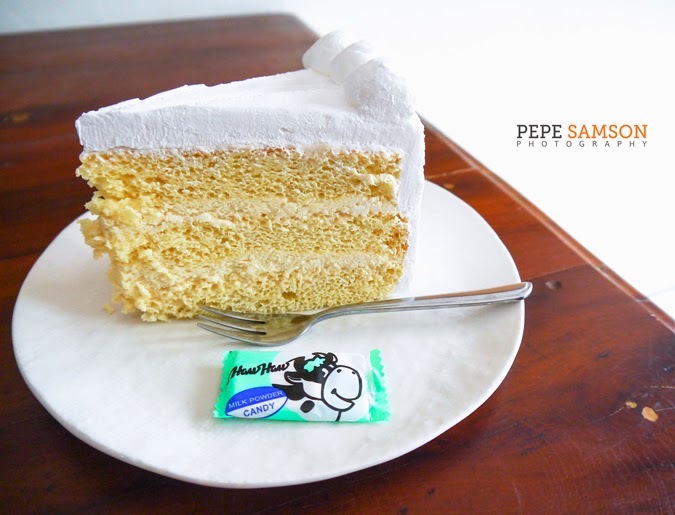 Have you tried the Haw-Haw cake? Which is your favorite dessert from The Baker's Table? Sounds off in the comments section!